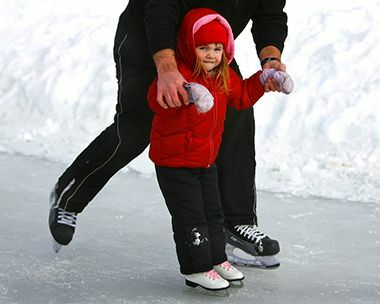 Matthews Park	Enjoy the park's year-round activities with a walk through the garden, broomball, or soccer. 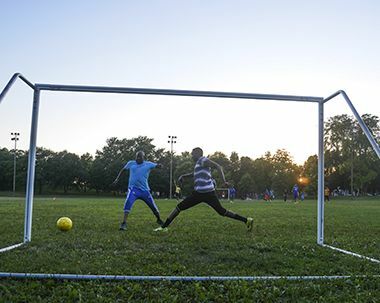 Size: 10 acres Neighborhood: Seward Service Area: South Commissioner District: 3 Master Plan: After two years of extensive community engagement, the Matthews Park Master Plan was approved in 2016 as part of the South Service Area Master Plan. 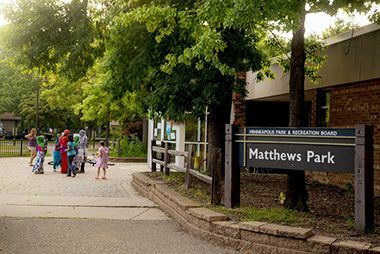 The Matthews Park Master Plan will guide outdoor park improvements at Matthews Park for the next 20-30 years. Click the link below to view the master plan. 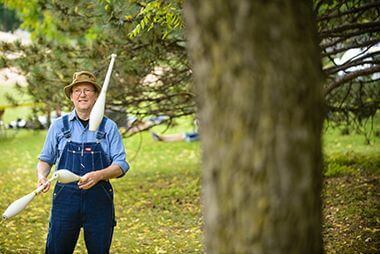 All varieties and sizes of trees are scattered throughout the park. One is too big to wrap your arms around! Give it a try. There are more than just trees in the park, though, including a huge hill overlooking the sports field. Constructed to block off the business area from the park, the hill has become a popular site for activities. Name: The park was named for Charles E. Matthews on May 7, 1969. Matthews was a resident of the neighborhood who had been active in the community, in particular campaigning for the park. 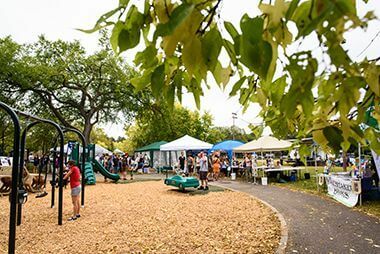 Until the park was officially named it was referred to as Seward Park after the elementary school adjacent to the park and the neighborhood in which it is located. The school was named for William Seward, a former United States Senator from New York, who became secretary of state in Abraham Lincoln’s cabinet. Acquisition and Development Matthews Park was the second park to be created in the Seward neighborhood, although no one likely remembers the first. The first suggestion for a park in the neighborhood in park board documents came in the 1910 annual report of the park board’s first recreation director, Clifford Booth. 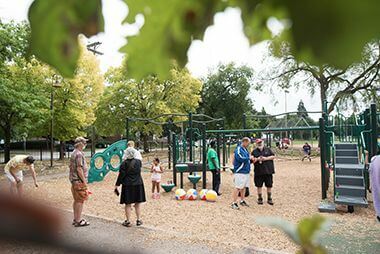 Among his recommendations for improving the park board’s recreation program that year was the addition of a playground in the “southern section of the city between Powderhorn and Riverside playgrounds.” It was the only new playground he recommended. 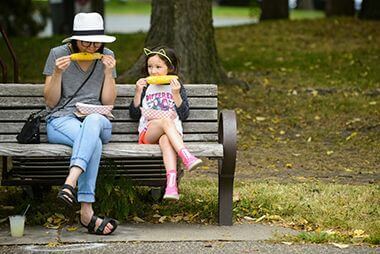 The park board followed Booth’s recommendation in 1911 and acquired four acres of land at Minnehaha Avenue and East 28th Street for what was named Longfellow Field next to Longfellow School. 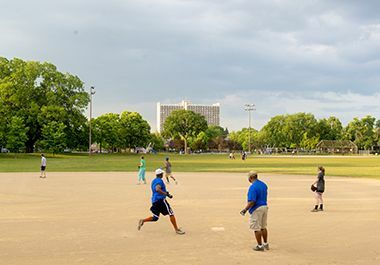 Longfellow Field became one of the most popular athletic grounds in the city, especially for football games, in part due its proximity to the streetcar line. In 1917, however, Longfellow Field was sold to a manufacturing company and land for a new Longfellow Field, the one that still exists, was purchased a little over a mile to the south and east. The area of the city that Booth thought most needed a new playground no longer had one. The neighborhood would wait nearly fifty years to get another. The campaign for another playground in the Seward neighborhood began in January 1958 when the PTA at Seward School requested a hearing by the park board on creating a playground to serve the school’s area. Following a February 5 presentation by the Seward PTA, the park board adopted a resolution to include a request for funds for Seward Park in its 1959 bond program and directed park staff to make a joint study of the area with the school board. Despite more petitions from the neighborhood in the next two years bonds for the new park were not forthcoming. Even in the absence of bond funding, on February 15, 1961, the park board designated for acquisition the two blocks from 24th to 25th streets between 27th and 29th avenues. The acquisition was part of a redevelopment plan for the neighborhood. In August and September of 1961 the first seven lots for the park were purchased using money left over from improvements at Farview, Audubon and Shingle Creek parks. Over the next two years several additional lots were purchased for the park using an unanticipated source of funds: money paid to the park board by the state department of transportation for park land it had taken for constructing freeways through the city. By the end of 1963 the park board had acquired a little less than three acres of land, one lot at a time, at a total cost of nearly $225,000. The cost was due in part to the fact that houses existed on most lots. In 1963 the park board removed the houses on its new land, filled the basements, graded the land to prepare for a skating rink that winter, and erected a portable warming house. At the time the park board expressed its intention to acquire more land for the park as funds permitted. While small acquisitions for the park continued over the next couple years, the bulk of the land to round out the park was acquired in 1967 with federal funds through the Department of Housing and Urban Development’s Open Space program. 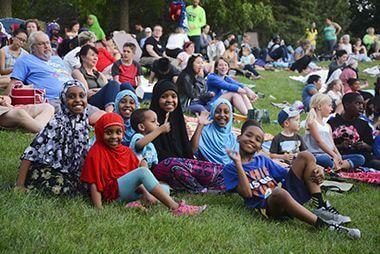 The park board paid the Minneapolis Housing and Redevelopment Authority (MHRA) $121,800 for the remaining land for the park. 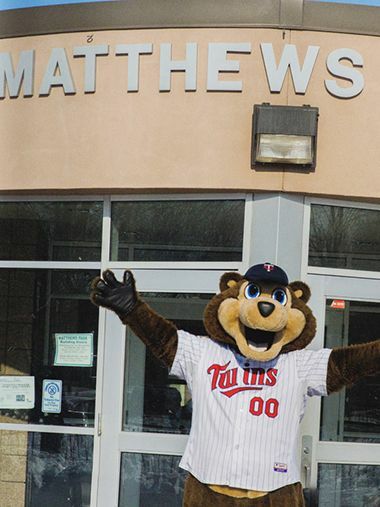 The development of Matthews Park followed a new model of combining a park, school and social agency at one location. The park board and school board had cooperated on several projects since the late 1940s, but the addition of a social agency to the mix was new in the 1960s. Both Bethune (Grant) Park and Seward Park were planned from the beginning as three-way partnerships. 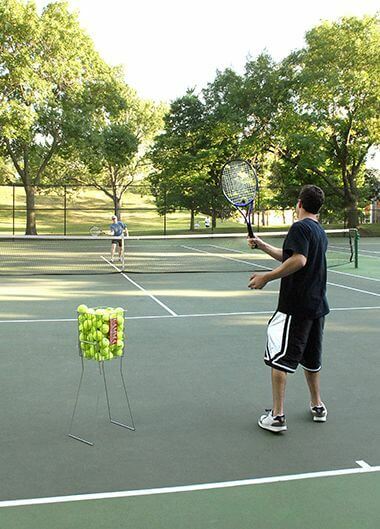 In 1966, the park board adopted a formal policy for its role in those partnerships, which was influenced by the new superintendent of parks, Robert Ruhe, who believed that recreation and leisure pursuits should be an integral part of neighborhood life. 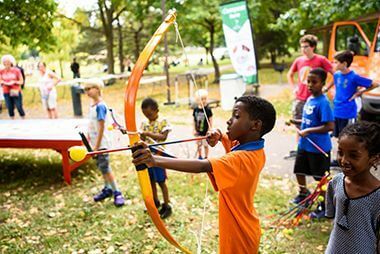 In the words of the board’s policy statement, the cooperation among agencies provided “the opportunity for a unified and collective approach to the services required in neighborhoods.” The social agency that partnered with the park board and school board at Matthews Park was Pillsbury Waite Neighborhood Services. It was one of the first park projects in the country that incorporated a social agency into initial planning for a park. In 1968 construction began on a recreation center attached to what is now Seward Montessori School. The park and recreation center were completed and dedicated in 1969. 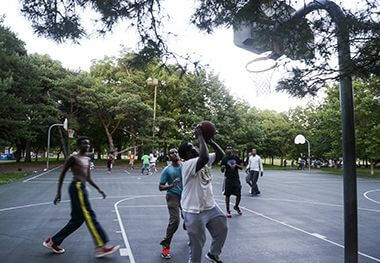 The new park included a volleyball court, basketball court, tennis courts, playing fields and a wading pool. The park also included a unique feature in an otherwise flat section of the city, a man-made hill in the southwest corner of the park that separated the park from businesses to the southwest. The hill provides about the only place for winter sledding in the neighborhood. The recreation center was renovated in 1993 and additional improvements to the playgrounds and playing fields were made over the next two years. In 2003, in a project partially funded with Neighborhood Revitalization Program money, photovoltaic panels were added to the roof of the recreation center to generate electricity and demonstrate solar power generation. The rec center kitchen was updated in 2008 and in 2010 several improvements were made inside the center to improve energy efficiency. The same year the playground was upgraded to improve accessibility. Park history compiled and written by David C. Smith. All varieties and sizes of trees are scattered throughout the park. One is too big to wrap your arms around! Give it a try. 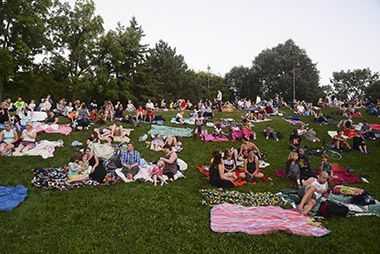 Every summer you can enjoy a series of free music and movies in the park at Matthews Park and other locations throughout the park system. The garden located at the Matthews Recreation Center entrance provides color in the summer.